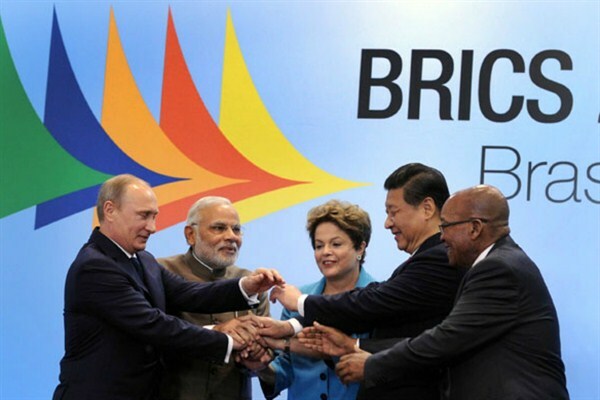 The leaders of the five BRICS countries at the 6th BRICS Summit, Fortaleza, Brazil, July 15, 2014 (South Africa GCIS photo, CC BY-ND 2.0). Assessments of the largest emerging economies—China, India and Brazil—and their global influence have been as volatile as each of their stock markets. In the wake of the 2008 global financial crisis, the buoyancy of their economies supported both a global recovery and their status as the rising powers of the 21st century. Now, the boom decade after 2001 seems a distant memory.